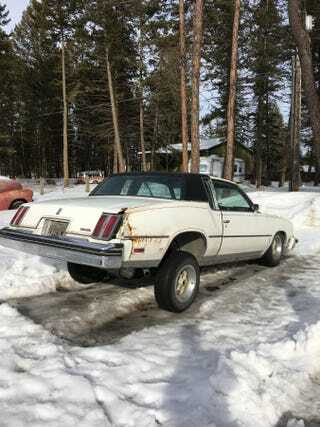 “Wanna be the biggest Pimp in the flathead valley? Well boy do I have a deal for you. This thing is Kustom with a K. (That means it’s really custom). I bought it for the cool factor but it’s just not for me. It has a 260 v8 and runs incredibly well. Fires up right away and purrs like a kitten. (Just try not to look at the oil leaks and random wires everywhere). The rear pumps and batteries could use a rewire before it burns to the ground from all the hydraulic fluid in the trunk. (Yes, it comes with a fire extinguisher). The pump and battery rack should be welded to the frame for support. Other than the majorly sketchy wiring, sketchy suspension, garbage interior and oil everywhere it’s a pretty fun car.